LONDON (AP) — "Havana" conquered the world in 2018. LOS ANGELES (AP) — Boi-1da considers himself a sidekick to some of the biggest music performers, from Drake to Rihanna, and he is now being thrust into the Grammy spotlight for his standout production work. LOS ANGELES (AP) — Kanye West is not sending Christmas cheer to Drake. West appeared to reignite a feud with the fellow rapper in a series of tweets on Thursday in which he claimed Drake had called trying to threaten him. West wrote "So drake if anything happens to me or anyone from my family you are the first suspect - So cut the tough talk." TORONTO (AP) — One person has life-threatening injuries after a stabbing at a Pusha T concert in Toronto. 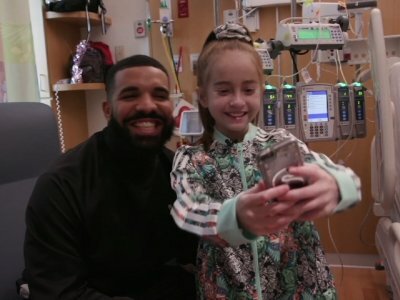 CHICAGO (AP) — The suburban Chicago girl who received a heart transplant after dancing her way into a meeting with Drake says she's feeling great. 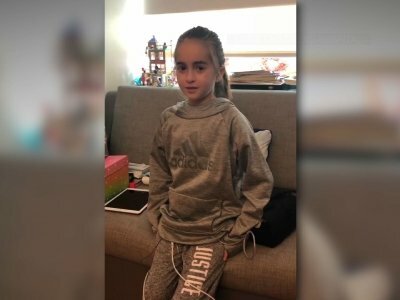 Sofia Sanchez met with reporters on Thursday , three-and-a-half weeks after she received a new heart during a nine-hour operation at Lurie Children's Hospital. The 11-year-old says her new heart "feels different, but in a good way." NEW ORLEANS (AP) — New Orleans rapper Renetta "Magnolia Shorty" Lowe co-stars in the current No. 1 song in the country, even though she died nearly eight years ago in a notorious double homicide. Samples of Shorty's voice are woven into "In My Feelings," the omnipresent single by superstar Canadian rapper Drake. CHICAGO (AP) — A suburban Chicago girl awaiting a heart transplant has danced her way into a meeting with Drake. The Canadian rapper visited 11-year-old Sofia Sanchez on Monday at the Lurie Children's Hospital during his tour's stop in Chicago. He shared photos on Instagram, saying they had talked about Justin Bieber and basketball. Drake visited Sanchez after seeing the Downers Grove girl's video version of his song, "In My Feelings," which inspired a viral dance craze. LOS ANGELES (AP) — Rapper Young Thug was arrested in Los Angeles after officers found a concealed firearm inside his car, authorities said Friday. 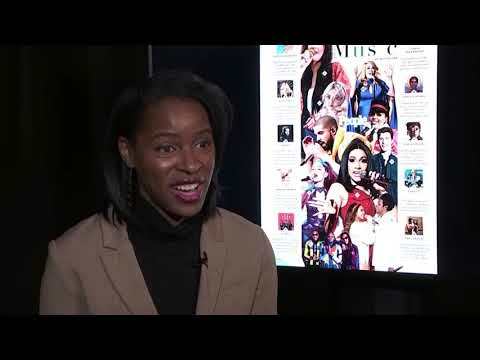 NEW YORK (AP) — Issa Rae's character on the hit series "Insecure," who works for a nonprofit, does what most people in need of extra cash do: She becomes a Lyft driver. 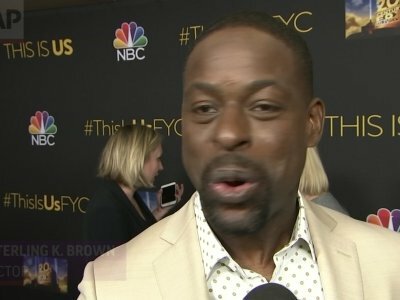 But the idea of making the show's lead character a part-time driver came from Rae's own experience: The actress said she applied to become a Lyft driver and was rejected. NEW YORK (AP) — The year of Cardi B continues — this time with 10 MTV Video Music Award nominations. MIAMI (AP) — Rapper Drake is celebrating his new album with his posse in Miami. Drake released his latest album "Scorpion" on Friday. It contains a song titled "Sandra's Rose," in which Drake raps about "Louisville hush money for my young gunners, Rick Pitino, I take them to strip clubs and casinos." NEW YORK (AP) — Following his death, XXXTentacion has topped the Billboard Hot 100 chart with "Sad!" and his two albums have landed in the Top 10. NEW YORK (AP) — Drake claims rival rapper Pusha T used a blackface photo out of context. Pusha T released "The Story of Adidon" on Tuesday and the artwork featured Drake in blackface. Drake posted on his Instagram stories on Wednesday night that the image was not from a clothing brand shoot or his music career. TORONTO (AP) — The NBA has asked the Toronto Raptors to tell rapper Drake to avoid a repeat of his verbal exchanges with Cleveland's Kendrick Perkins during Game 1 of Toronto's second-round series against the Cavaliers. Drake, who has been Toronto's global ambassador since 2013, occasionally sits in a courtside seat adjacent to Toronto's bench and trades barbs with visiting players. Rapper Drake's absence from Games 3 and 4 didn't go unnoticed by Wizards guard John Wall. In the first two games of the series, the recording artist (and noted Raptors fan) taunted Wall from courtside telling him the Wizards were getting "bodied by 20." Drake, who grew up in Toronto, even called him a "bucktee," which is Canadian slang for being homeless, according to Google. Drake is set to release his fifth studio LP 'Scorpion' in June. The 'God's Plan' rapper took to his social media accounts on Monday night to tease the artwork for his forthcoming record, which follows 2016's 'Views'. Alongside a photograph of himself rocking a bomber jacket with the album title and date on it, he captioned the post on Instagram: JUNE 2018 (sic)"
For us oldsters, "fortnight" is just a fancy British way of saying "two weeks." In the video gaming world, "Fortnite" is the hottest survival strategy game going. Count the unlikely duo of the Steelers' JuJu Smith-Schuster and rapper Drake among fans. As of March 17, engadget.com says, about 40 million people were playing across PC and console platforms. JuJu Smith-Schuster joined rapper Drake and other celebrities to play a video game for an audience of more than 600,000 people Thursday morning. The seemingly impromptu gaming session began when Drake joined Tyler "Ninja" Blevins, a professional video-game streamer with more than 100,000 subscribers. Drake and Blevins were playing "Fortnite," a popular game that pits up to 100 players against each other as they scavenge for weapons and fight to survive. Virginia-born comic Brandon Wardell jokes about Justin Bieber and the difference between Canadian rapper Drake and American rapper Future. Also: the idea of sexting an Uber driver. His Twitter account has more than 30,000 followers, and he has over 8 million loops on his Vine account. LOS ANGELES (AP) — Grammy Award-winning rapper Drake helped Twitch break its record for the most-viewed stream by joining gamer Tyler "Ninja" Blevins to play "Fortnite." The rapper and singer says he's been playing the popular video game for a month or two. Heidi Klum is "very single and very ready to mingle". The 44-year-old supermodel split from her boyfriend Vito Schnabel last September after three years together, and despite originally claiming she is on a break from dating, Heidi now revealed she is looking for love again. Heidi was a guest on 'The Ellen DeGeneres Show' on Monday (26.02.18), and said: "I'm very single and very ready to mingle." CLEVELAND, Ohio -- LeBron James and Maverick Carter are getting into the feature film business. 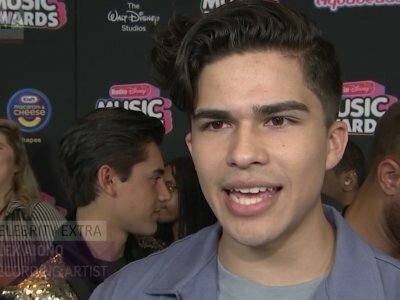 Their production company SpringHill Entertainment is producing a new version of "House Party." Not a remake or a reboot, SpringHill describes the project as a fresh re-imagining of the 1990 comedy starring the rap duo Kid N Play. The film is being written by Stephen Glover and Jamal Olori from the critically acclaimed FX series "Atlanta." MIAMI (AP) — OK, we get it: Drake loves Miami. The 31-year-old Canadian rap star has been spreading money and goodwill throughout the city this week, beginning with a surprise visit to Miami Senior High School on Monday to shoot parts of his new music video "God's Plan." He donated $25,000 and promised students they'll get uniforms designed by his clothing label. CLEVELAND, Ohio – Music star Drake had an interesting week with the Cavaliers. On Thursday, Drake's hometown Toronto Raptors blew out the Cavs 133-99 in Canada with the rapper sitting in the front row. Throughout the night, cameras caught Drake cheering the Raptors on and smiling at LeBron James. LOS ANGELES (AP) — Golden Globes guests get to party after the ceremony ends, no matter if they win or lose. There were a variety of post-show options Sunday night scattered throughout the Beverly Hilton, with studios, networks and others doing their best to impress the stars and industry bigwigs. "This Is Us" star Milo Ventimiglia took an unintentional dip in the pool at HBO's Golden Globes after-party. Justin Tucker has a strong, accurate leg, and dance moves like Drake. That combination is good enough to make the Baltimore Ravens' two-time All-Pro kicker the league's No. 1 player at his position in The Associated Press positional rankings released Friday. Tucker received six of 11 first-place votes in a 10-points-to-one-point system to edge New England's Stephen Gostkowski, 89-88. Greg Zuerlein of the Los Angeles Rams finished two points behind in the tight race. The stealth marketing campaign for Eminem's ninth album has had fans scouring social media, watching fake infomercials and generally grabbing at straws for more than a month. The guessing game is expected to conclude with the anticipated Friday release of "Revival," although no official word on its arrival has been announced by Eminem's representatives.